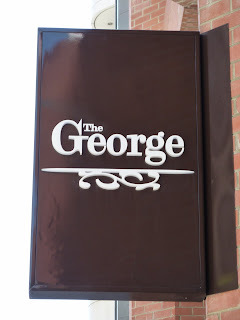 "For a most pleasant relaxing afternoon, try "The George" for high tea!" 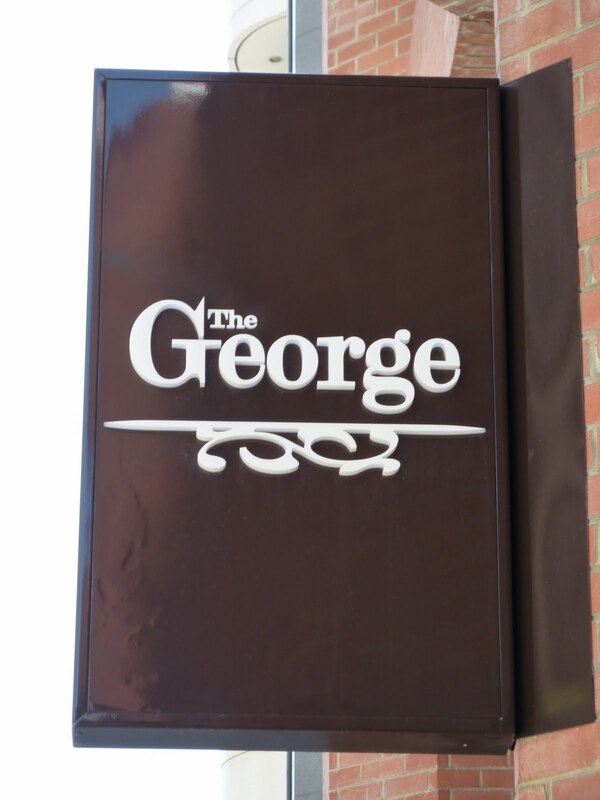 At The George you will find a modern chic setting for your high tea along with friendly staff who explain the three choices on offer (one with tea, one with sparkling wine, one with champagne). Our group decided on the non-alcoholic version served with a good selection of teas (that can be purchased from Tea for Me, London Court). My choice was a lovely jasmine dragon pearl green tea and it was very nice indeed. First was a generous serving of home baked scones with homemade strawberry-raspberry-chilli jam and cream. We needed extra jam and cream which was attended to efficiently. 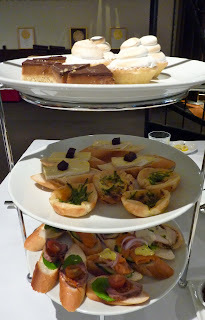 A three tiered server was next with open sandwiches, warm tartlets and cakes. The high tea was well patronised mainly by women enjoying their free time on a pleasant Sunday afternoon with friends, great food, tea and conversation. An improvement for me would be playing the music at a lower volume. We all enjoyed ourselves and agreed we will return.